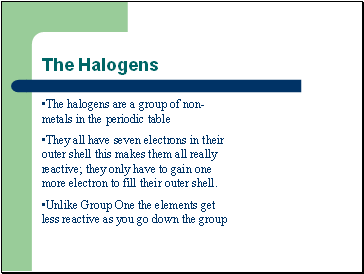 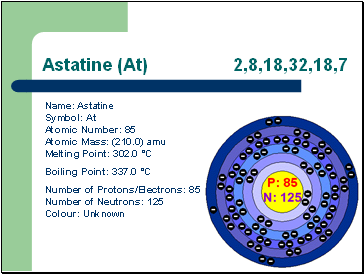 They all have seven electrons in their outer shell this makes them all really reactive; they only have to gain one more electron to fill their outer shell. 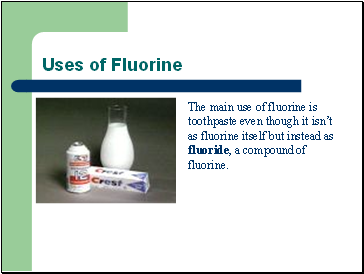 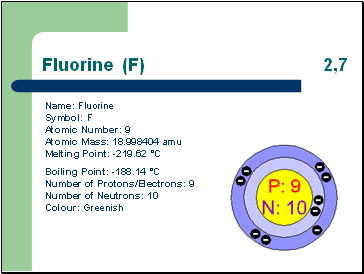 The main use of fluorine is toothpaste even though it isn’t as fluorine itself but instead as fluoride, a compound of fluorine. 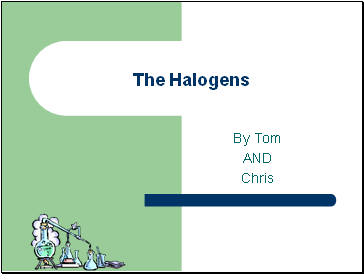 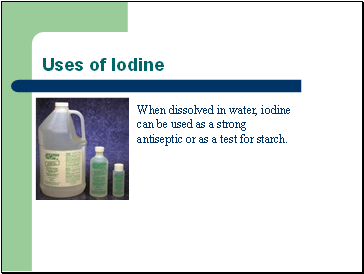 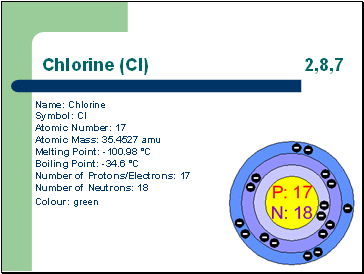 Chlorine is used mostly to kill bacteria or as a bleach. 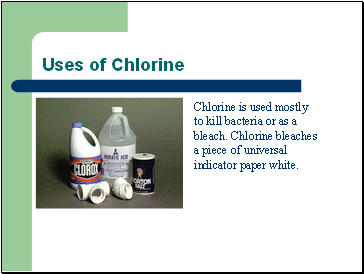 Chlorine bleaches a piece of universal indicator paper white. 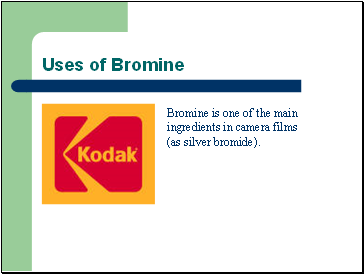 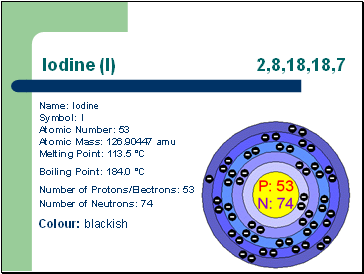 Bromine is one of the main ingredients in camera films (as silver bromide).